144 rolls (i.e. 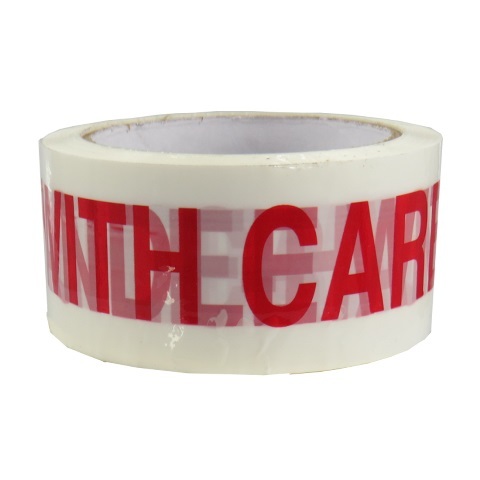 4 boxes of 36 rolls) of LOW NOISE 'Handle With Care' printed sealing packing tape 48mm x 66M. These are industrial length rolls, and perfect for telling the courier companies to watch your goods and treat them with care!